Divorce is heartbreaking for everyone involved. From figuring out who is going to be the primary caregiver for the children to hiring a divorce lawyer, divorce is rarely a treat. Divorce can also lead to a lot of financial mistakes. If you’re going through a divorce or someone you love is, then you’ve probably heard a myriad of complaints about how much everything is costing. Divorce doesn’t only force you to make some difficult decisions — it also affects your financial security. We aren’t talking about the cost of a divorce lawyer either, but easy mistakes where you think you’re doing the right thing for your family, in reality, are shaking up your financial protection. At Lopez & Wilmert, we can help you make the best decisions during your divorce with our experienced lawyers. Our focus areas are divorce, custody, child support, move-away orders, and paternity. If you’re going through a divorce, then your wallet is probably feeling a little thin. It’s not a good feeling and you’re probably feeling a little more uncomfortable about it. When you go through a divorce, you’ll face many decisions that could affect your financial security. 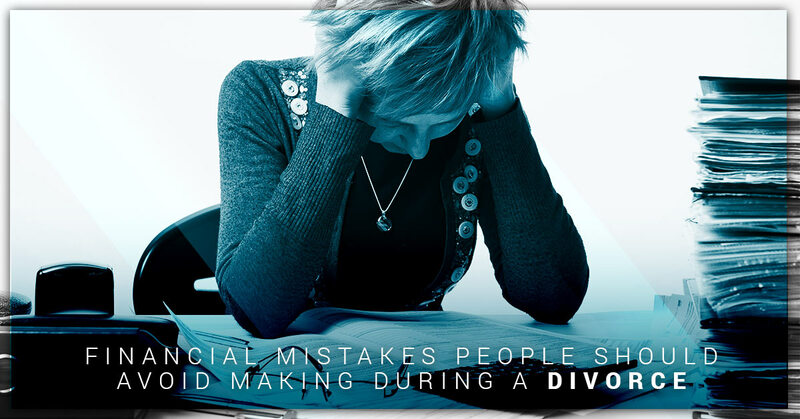 By identifying what is a mistake and what will eat away at your bank account, you will feel more comfortable going into the realm of divorce. We know that you’re going through a difficult time, which is why we’re here to offer you some vital financial advice from divorce lawyers who are looking out for your best interest. As reliable, experienced, and professional divorce lawyers, we’ll lead you through your divorce to ensure you avoid any financial mistakes. Many think that equal division is a fair division of the property; however, you need to understand the value of the asset before you make a decision. The asset’s value is not defined by the current market value. During the divorce, when you trade assets, it’s important each partner is able to get the property of equal monetary value. Each spouse needs to figure out the true equal shares of the assets over time. By figuring out the actual asset amounts, you’ll be able to compare oranges to oranges and apples to apples so you are not losing out on any money. When you trade assets during the negotiation portion of the divorce, make sure to pay attention to the transaction costs, the tax basis, and the present value of the assets. It might be easier to determine the financial issues one at a time by separating the income, etc. However, when you do this, you’re missing the capital gains, investment losses, timing issues, inflation, taxes, and other little details. When you look at a large picture of your finances, you’ll be able to divide all of the assets accordingly and one person won’t be more affected by the decision than the other person. If you have children or if you have the ability to receive alimony, take advantage of that option. Talk to your lawyer about securing child or spousal support and make sure you request the opportunity to obtain disability and life insurance policies so you can continue to be paid if an event happens to your spouse that results in a disability or a death. This will make sure you’re protected, as well as your children. If you’re going through a divorce, then take the time contact a divorce lawyer by filling out the form below.